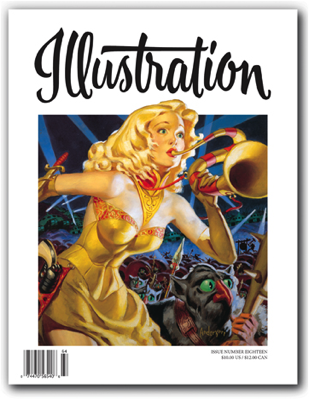 In this issue: The incredible science fiction and fantasy pulp art of Allen Anderson by pulp art historian David Saunders; the art of illustrator and influential educator Jack Potter; the story of the advertising icon the Uneeda Biscuit Boy. 80 pages in full color. Sold out.